Well things have been very busy recently for me, we got married and have been traveling for the honeymoon. Expect a lot of catchup and a lot of travel posts over the next few weeks as we've been eating and drinking up a storm. One of the great pieces of food tourism in the US are all of the inner city gourmet markets available to the urban foodie. 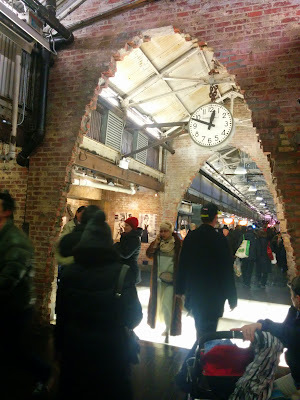 Chelsea Market is one of the classic food destinations in New York City and conveniently located near my office! 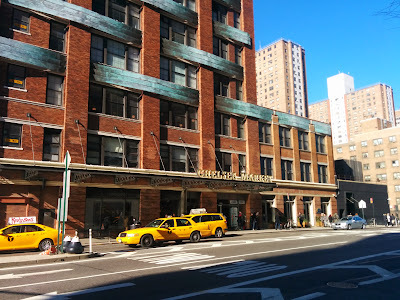 Chelsea Market is a combined food business and office space between 9th -10th Avenues and 15th - 16th streets taking up the whole block in a gorgeous 19th century brick building. If you're expecting a farmer's market you'll be disappointed, instead it's more like a food hall and specialist food vendors. Some serve hot meals and sit down dining, others sell kitchen equipment, spices, rare ingredients and all manner of things for the foodie. On weekends and at lunchtime the place gets packed to the rathers with wide eyed and hungry shoppers. If you're a tourist in New York think about heading down during mid morning to get fresh options and plenty of space. For the best place to eat a picnic lunch of tasty morsels bought in the Market don't fight over the few seats in the building itself instead head outside to the High Line which runs along the 10th Ave portion of the building. There's plenty to be explored but here's some of my favourite stops at Chelsea Market, go check it out yourself! Spices and Tease has every herb and spice you could possibly need in bulk and in fine quality. 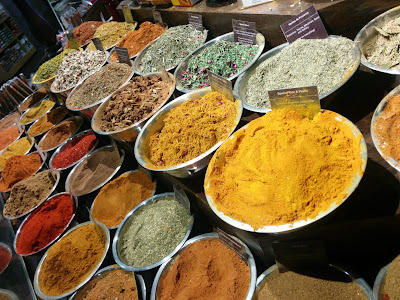 Expensive or hard to find ingredients for European, Asian and Middle Eastern dishes can be easily found. If you're interested in trying out an exotic dish but never could find saffron, sumac or oaxaca then this is a place for you to enjoy a global taste mission all in one place. If you've been in the US for a while the thing that you miss the most (yes, even more than the coffee) is the bread. New York is one of those exceptions that proves the rule - the bread is amazing and the sandwich shops endless. 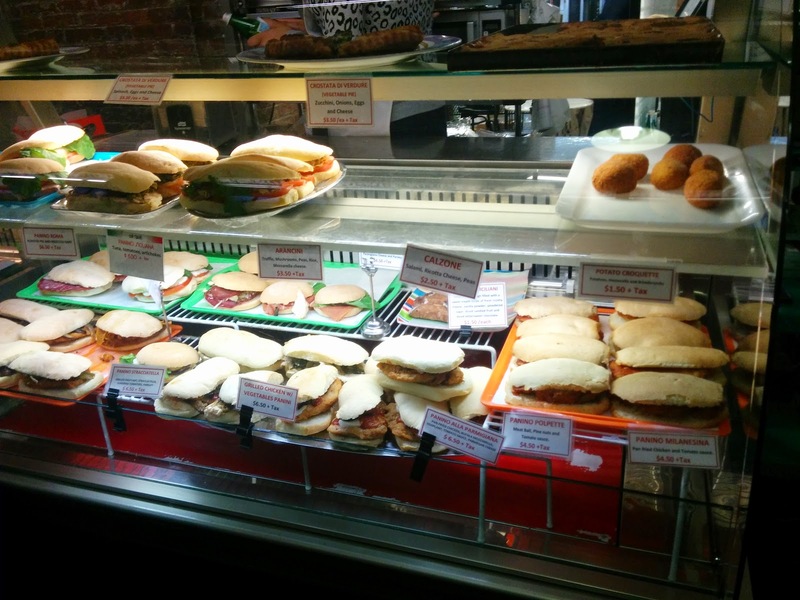 There are numerous places tht you can get a great lunchtime sandwich in Chelsea Market in Italian sub or Jewish deli styles. 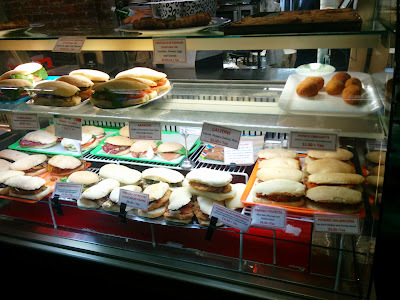 This display case of ready to be pressed panini is from Buon Italia. 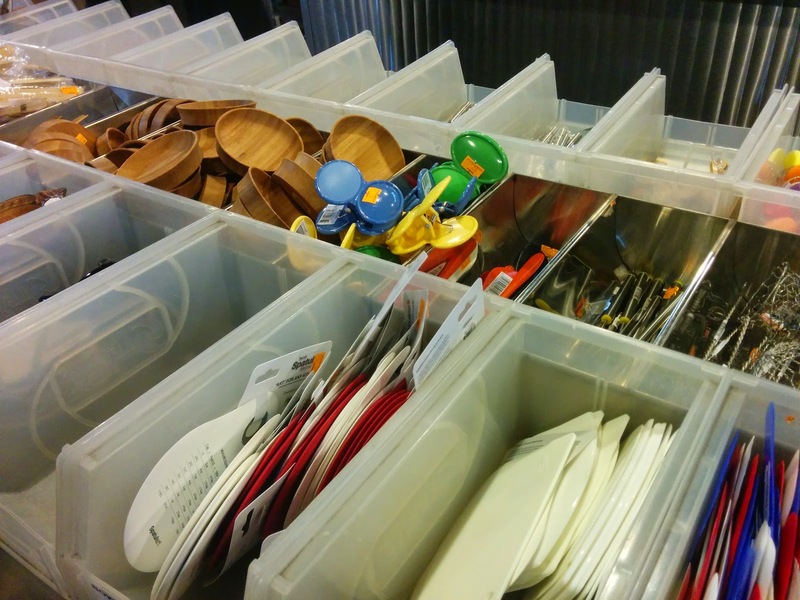 Bowery Kitchen Supply has one of every gadget and plate you could possibly want as a cook or a host. Oyster shucking gloves, ginger microplanes, icing spatulas, sushi plates and cazuela de barros can all be found with a neat deli counter shoved in the back. Expect to part with some money particularly if you take even the smallest peek at the knives and copper pans. 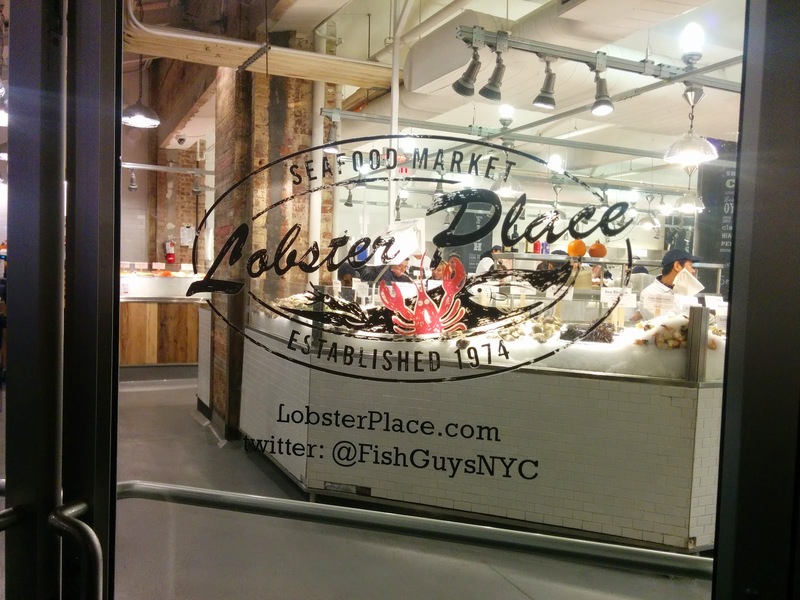 The Lobster Place is an infamous seafood vendor with one of everything delicious you could put in your high end NYC dinner party. Maine Lobster and New England Oysters are definitely top of the list for the local seafood afficionado. Of course there's plenty of other places in Chelsea Market to grab a bite. Try Dickson's Farmstand Meats for hand crafted charcuterie or Lucy's Whey for artisanal cheeses galore. For a sit down meal try the legendary Morimoto or Buddakan for delicious Asian fusion meals or for a more casual affair take away a delicious Cambodian sandwich from Num Pang. There's also a display space for rotating exhibits and we're lucky to find on the day that we're visiting The Balvenie are doing a launch for the Rare Craft collection. 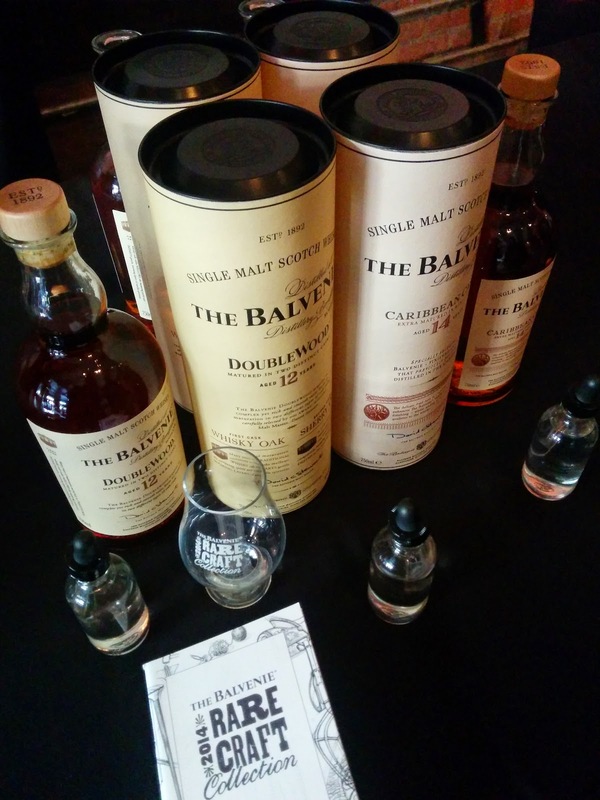 We collect a tipple of the whole range and a free whiskey glass to take home. As part of the campaign they've had many rare crafts made and are on display, nervously watched by their security and marketing team. 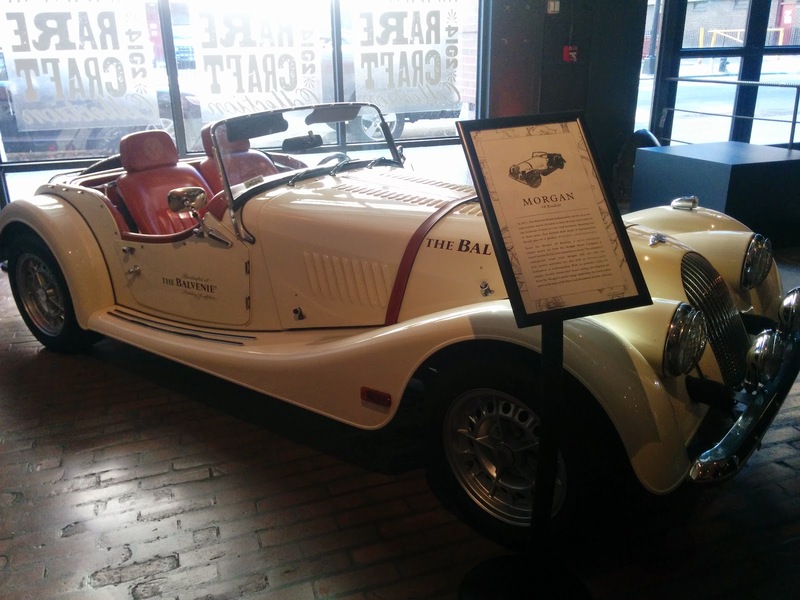 Hand crafted instruments, boots, clothing, architecturally designed lamps and this exquisitely restored The Balvenie Morgan sports car are all on display. You can easily walk the whole market in an hour if you're pressed for time or really take your time to poke and shop, eat and sip for 3-4 hours. Combine a trip to Chelsea Market with a wander around this trendy neighbourhood and stop at local eateries like Cafeteria or Murray's Bagels for lunch.